Contributions should fall within the scope of the journal outlined in the statement of Aim and Scope. Submission of a manuscript implies that the paper has not been submitted to or published in any other journal, in the same or similar form, in English or in any other language. Manuscripts previously published in a workshop, symposium, or conference can be submitted for consideration provided that the authors inform the editorial office at the time of submission and that the manuscripts have undergone substantial revision. All the papers are strongly double reviewed until the publication of papers. Submissions will be checked by the Executive / Managing Editor. If the Author Guidelines are not observed or major problems are noticed, the article will be immediately rejected and authors informed on the reasons. Articles that passed successfully this stage are reviewed by two reviewers strongly from the topic of the paper. If reviewers find or suspect the identity of authors, they must act regardless of the ethnicity, gender, sexual orientation, citizenship, religious beliefs or political orientation of the authors, or report to the Editor any potential conflict. If there are minor differences, the decision is taken by the Editor based on the importance of the submission, assessed in accordance with the Editorial Policy. If their opinions differ substantially, a third reviewer will be contacted. If the reviewers require revisions, authors must submit, in addition to the revised manuscript, an anonymous letter stating the changes performed or motivating the refusal to address them. In the next round, reviewers will be asked to assess whether their suggestions were properly addressed. Rejected submissions will not be returned to authors, but the authors will be informed on the editorial decision. For accepted papers included in an issue, reviewers are acknowledged collectively using their first initials and last names, except for those specifically stating that their names should not be disclosed. After acceptance, articles are checked for plagiarism using a specialized program. All our readers and authors take advantage of free open access. We believe this provides immediate open access to its content, following the principle that making scientific research open to the public, we contribute to a wider global exchange of knowledge. Since we do not charge for open access, the cost of publishing, including the costs of reviewing, publishing journals and online hosting and archiving, is offset by charging articleprocessing fees. The processing fee for this journal is $ 50.00 per article. The responsible author must pay this amount after receiving an official letter on acceptance of the article for publication. Manuscripts must be in English or Russian. Both English and American spellings are acceptable. Only a concise and informative title should be included. If the paper is submitted in Russian, then English translation of the title is needed. A manuscript must include an abstract containing no more than 200 words. It should indicate the techniques used and summarize the most important results. If the paper is submitted in Russian, then English translation of the abstract is needed. The papers with up to 30 pages (excluding Endnotes and References) is appropriate. In some special cases defined by the Editor in-Chief the number of pages can be increased. 3 to 6 keywords should be provided after the abstract. If the paper is submitted in Russian, then English translation of the keywords is needed. The text should be single-spaced; uses a 12-point font following Article Template. All figures should be cited in the text and numbered consecutively with Arabic numerals. A caption of no more than 15 words should be provided (If the paper is submitted in Russian, then English translation of the captions is needed). The preferred formats for figures are PNG and JPEG. All figures should be placed within the text at the appropriate points, rather than at the end. All tables should be cited in the text and numbered consecutively with Arabic numerals. A title of no more than 15 words and a legend explaining any abbreviation used in that table should be provided (If the paper is submitted in Russian, then English translation of the title is needed). All tables should be placed within the text at the appropriate points, rather than at the end. All URL addresses in the text (e.g., http://jomardpublishing.com) should be activated and ready to click. The list of references should be in alphabet order and only include works that are cited in the text and that have been published or accepted for publication. The APA system (APA Style Essentials) of referencing should be used. The list must also contain new references on the topic of the manuscript. The references in original languages must be translated into English. 2. The authors and year for papers with two authors: (Lopez and Navarro, 2006). 3. The first author followed by et al. and year for papers with more authors: (Lopez et al., 2006). 4. The author and years for more papers of the same author written in different years: (Lopez, 2006, 2008). 5. The author, year, and an indicative on the alphabetic order for papers written by the same author in the same year: (Lopez, 2006a, 2006b). 6. Separation by semicolon of more papers: (Lopez, 2006; Vukic, 2008). 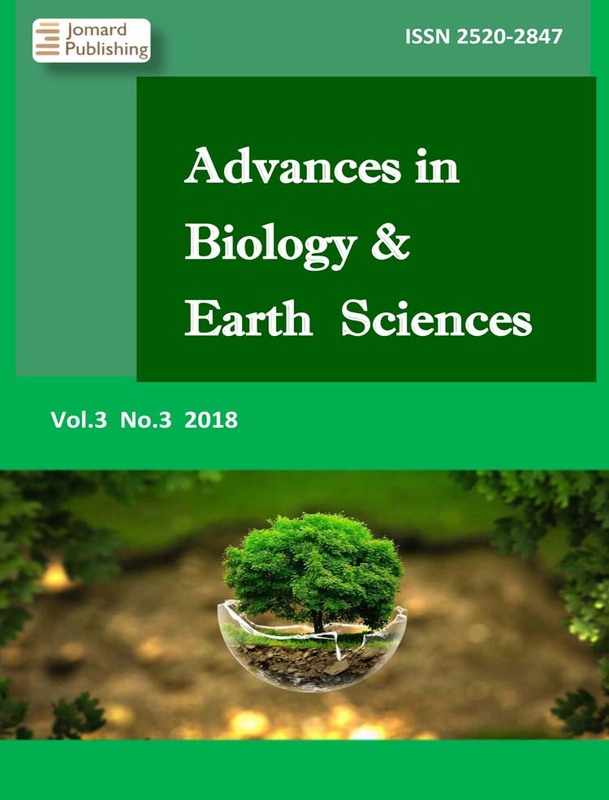 The authors should send their article single, compressed archive file as an attachment to the e-mail address jomardpublishing@gmail.com or submit on-line using Manuscript Submission system.